PUNA, Hawaii - The spectacular November 25 breakout on Puʻu ʻŌʻō continues to feed lava to the northern boundary of the flow field via a new lava tube, scientists report. HAWAII ISLAND – The spectacular November 25 breakout on Puʻu ʻŌʻō continues to feed lava to the northern boundary of the flow field via a new lava tube, scientists report. 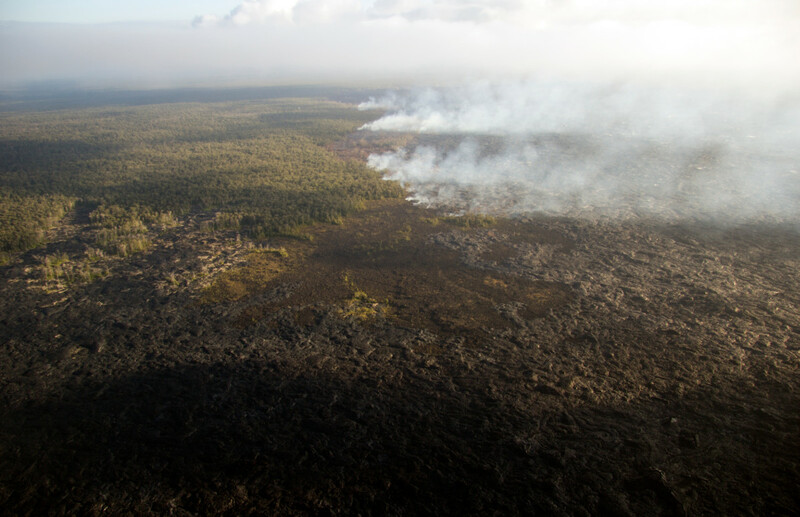 The USGS Hawaiian Volcano Observatory reports the new flow lobe reached the forest north of Puʻu ʻŌʻō in mid-December, and has since been traveling northeast along the northern edge of the existing flow field. 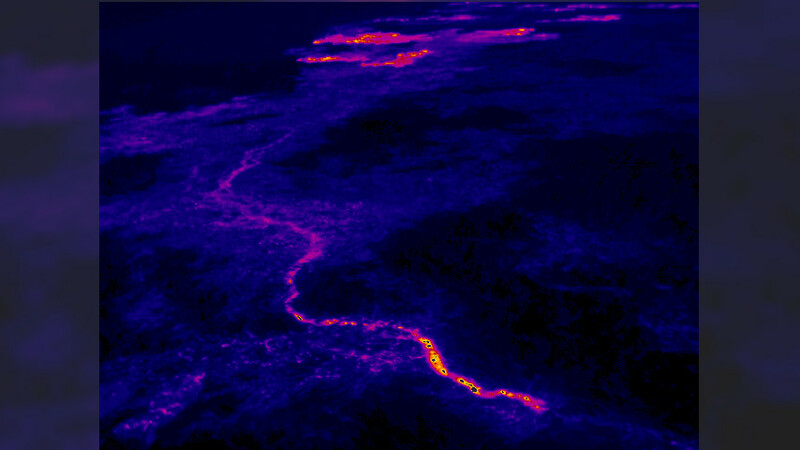 (USGS) The trace of the new lava tube is easily visible in the thermal images. This view looks northeast, and the breakouts along the forest boundary are visible near the top edge of the photograph. “We will continue to report the lobe’s progress and all other Kīlauea activity through daily eruption updates posted on the HVO website,” scientists wrote. 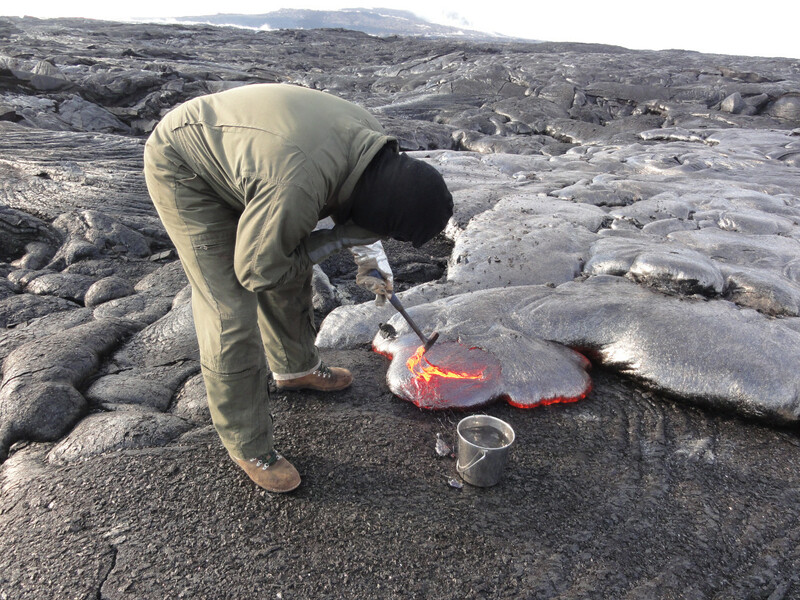 (USGS) An HVO geologist collects a molten lava sample for chemical analysis, scooping up a bit with the rock hammer to then drop in the water bucket to quench it. Puʻu ʻŌʻō is visible in the distance.